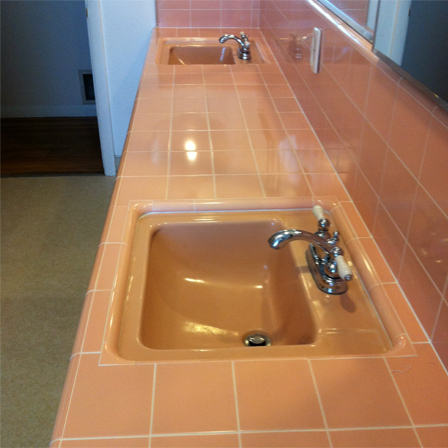 1957 Vintage Countertop Tile. Like New. Tile Grout and Caulking become mildewed and cracked over time, causing leaks that lead to surface scum, dry rot and mold. 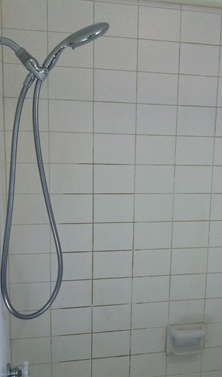 The main trouble areas are around sinks, bathtubs, and on glass shower enclosures and fiberglass pans. 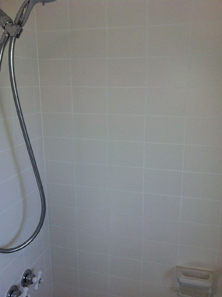 Regrout Systems Tile Repair Specialists can remove moldy caulking, treat the joints and then replace the joints with mildew resistant caulking. 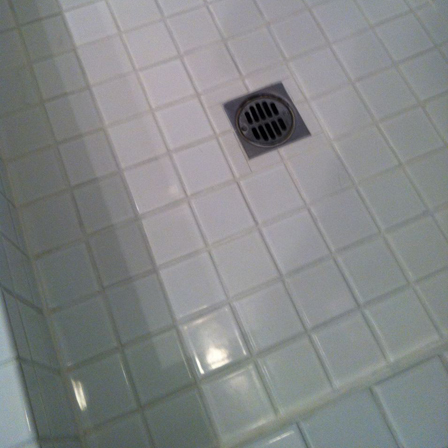 If this is a problem in your home, please Contact Regrout Systems today! You won't believe how much cleaner your bathroom or kitchen will look with freshly caulked joints and enclosures!